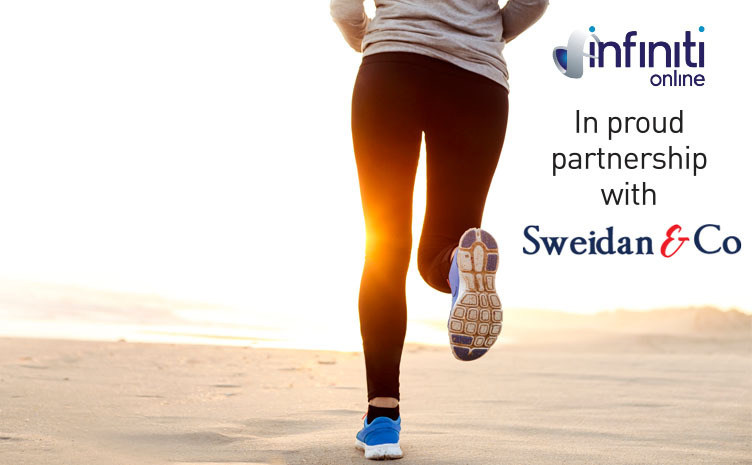 Enter Sweidan in the "Infiniti code" to get your quote. Insurance, of any kind, is not the most exciting thing to shop online for. It's not actually exciting to shop for at all. But it is a must, whether you are looking for coverage for yourself, your vehicle, your home, your possessions or your business. And while we can't do much to make shopping for insurance coverages online more exciting, we can make it faster, easier and in most cases cheaper as well. 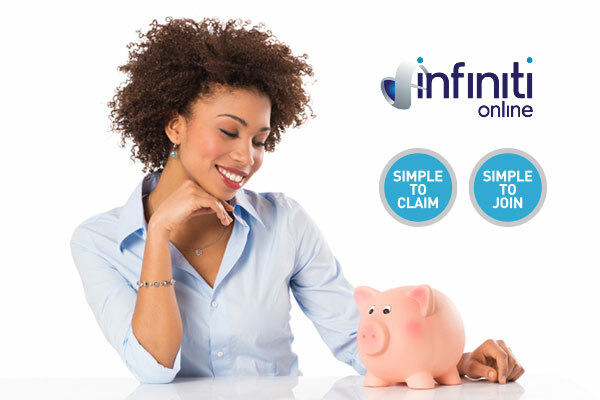 Every insurance policy offered by Infiniti Online can be purchased via the Internet, from the comfort of your own home, office or even on the go via your smartphone. There are no pushy sales people to deal with, no long, over complicated forms to complete and mail, no proofs to mail in, nothing needs to be faxed. Everything can be completed online, often in less time than it will take you to finish a cup of coffee. Quote and buy your car, home or business insurance ONLINE right now. Insurance as mobile as you are that doesn't keep office hours. 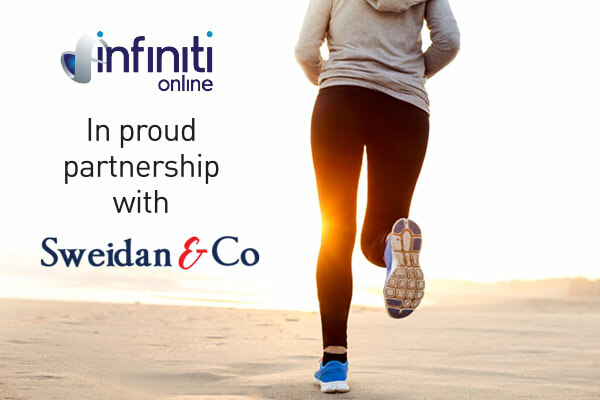 In proud partnership with Sweidan and Co.
Infiniti Online believe that buying - and using - insurance coverage should be quick, easy and painless and the same should be true of making a claim. So whatever your insurance needs, why not experience the Infiniti difference for yourself and begin shopping for the easiest insurance deal you'll ever purchase right now. 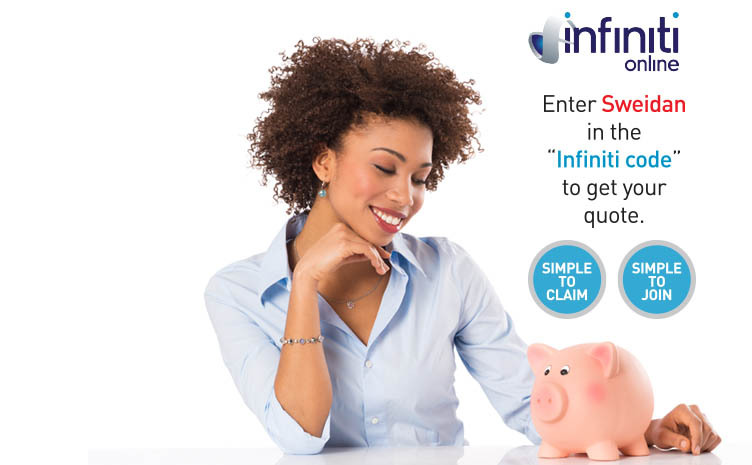 Basically, if it can be protected by an insurance policy, you can buy that insurance coverage online via Infiniti Online. Upload photos, documents and anything else needed to process your claim directly to your insurance assessor. No need to wait on hold for hours, no need to mail anything.